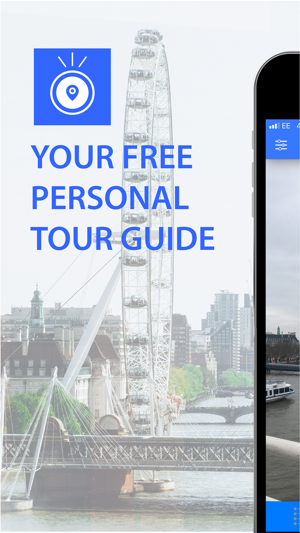 INTRODUCING THE MOST INTUITIVE TOUR GUIDE ON THE PLANET. 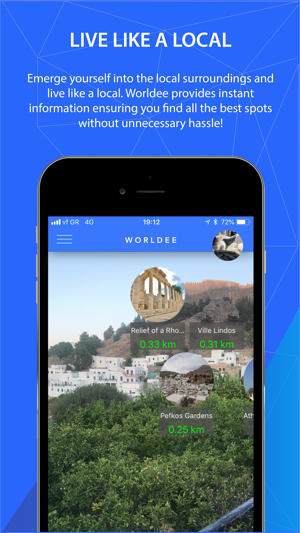 Worldee is here to stop your frustration of not understanding or knowing your local surroundings, by simply discovering places by aiming your camera at them or in the direction of them using augmented reality! 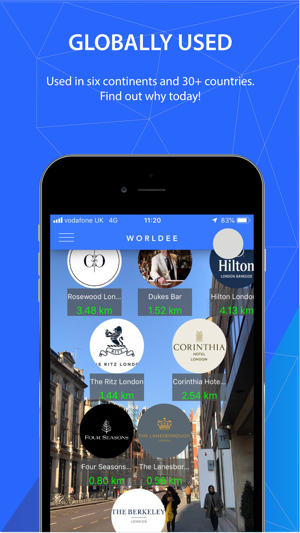 Worldee allows you to explore your surroundings, enhance your travel experience and inspire your next travel location! Explore your surroundings using Augmented Reality and find a wealth of local places within walking distance of your current location. Filter through the places you want to see for your different needs. Our categories range from attractions, restaurants, nightlife and hotels. 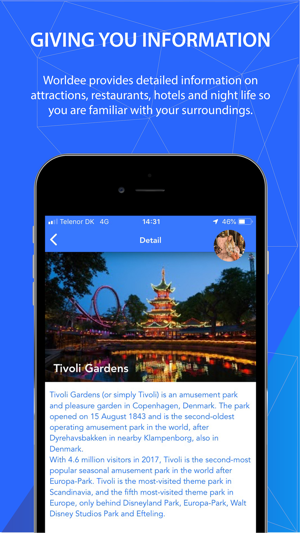 Simply aim your camera around and Worldee will find places for you, by showing you the place photo and their name, allowing you to discover your surroundings better and show you their location. 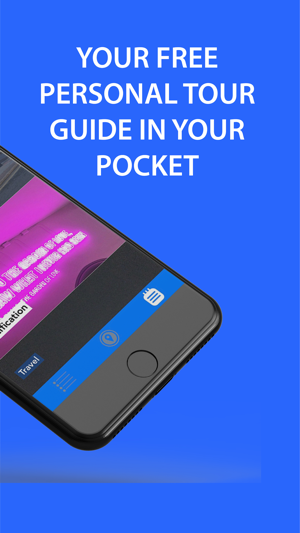 By pointing the Augmented Reality screen camera at a point of interest you can find out anything you need to know and all within one tap. This is possibly the best place finder on the planet. After you have found a local place, which piques your interest, that you are itching to know about then you can instantly discover more information. 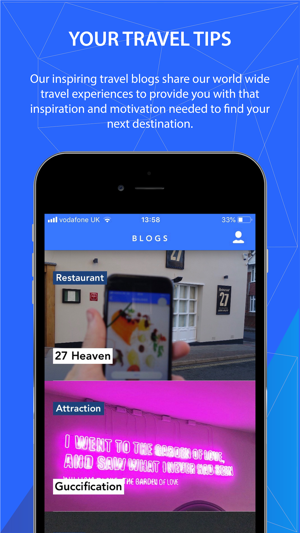 All you have to do is tap the places icon and you can get directions to your desired point or be faced with amazing information, such as the history behind your attraction or which type of cuisine a certain restaurant is or which celebrities have stayed in your chosen hotel, even directions to your nightlife location. Are you stuck on where your next travel vacation/travel destination will be? Then we have exactly what you need! Our blogs are going to solve your frustrations. 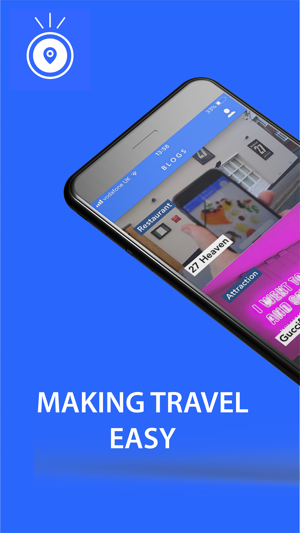 By uploading blog posts of Worldee's across the globe and giving you insights to their trip and how Worldee helped them; giving you recommendations for your next trip. Follow us and discover the places we are visiting. 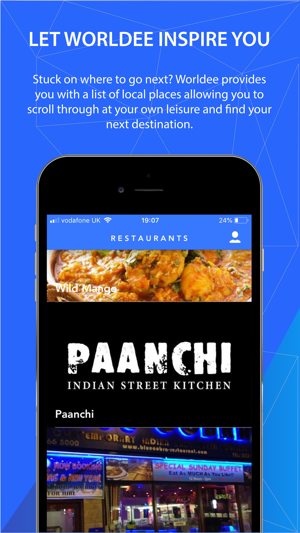 Any clickable link in the app will help you book hotels or make reservations at restaurants. Perhaps even helping you with your attraction tickets. 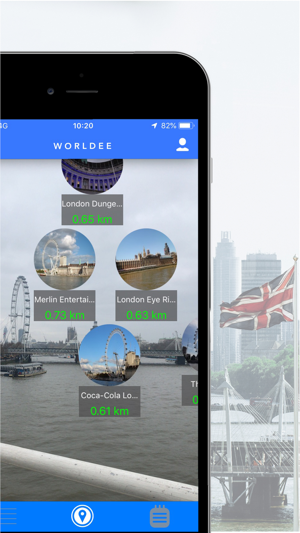 You have your very own profile when you sign up for Worldee and every place you have ever visited gets stored in your visits so you can look back on your epic travels and rediscover every detail about them. Become an adventurer, become an explorer, become a globetrotter. BE A WORLDEE.